This lampshade enhanced with shooting stars is set to dazzle when diffusing beautiful lighting into your little little ones bedroom. 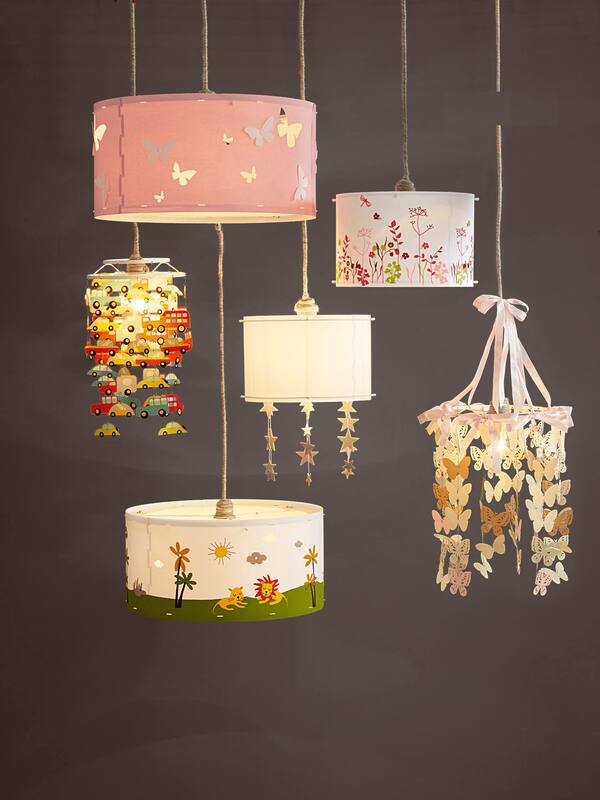 SIZE: height of lampshade: 20 cm, diameter of base: 30 cm. Total height: 65 cm. All our ceiling lights require an E27-60W light bulb max. (not supplied) unless specified otherwise. Cable and lamp holder sold separately (only required if a standard ceiling fitting is not already in place). Children's lampshade in polypropylene lampshade covered in fabric.